Large solid brass planter hammered antique finish lacquered to resist tarnishing. Height 13.5, Width 14.5" (measured across top opening). 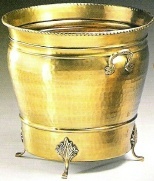 Overall planter width (at widest part) 15.5" Solid cast brass handles and fittings. Solid brass construction means this planter can be used outdoors too. 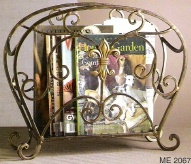 When used outdoors the planter will gradually patina with exposure to the elements. 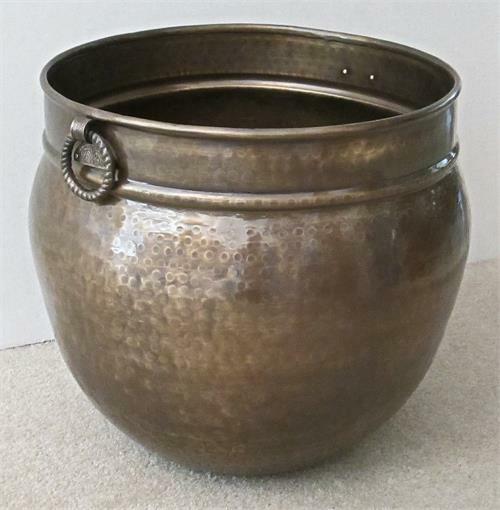 Finish patina, weight, or dimensions of this planter can vary somewhat because it is hand made. 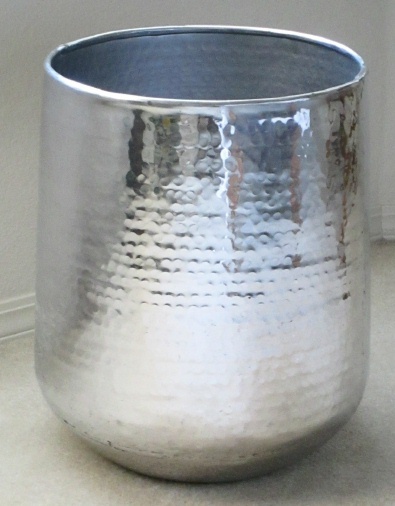 Also available in 18" diameter. 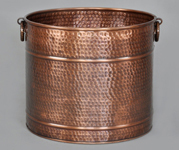 Also available in solid copper. Ships as FedEX oversize-rated parcel due to dimensions and packaging requirements.